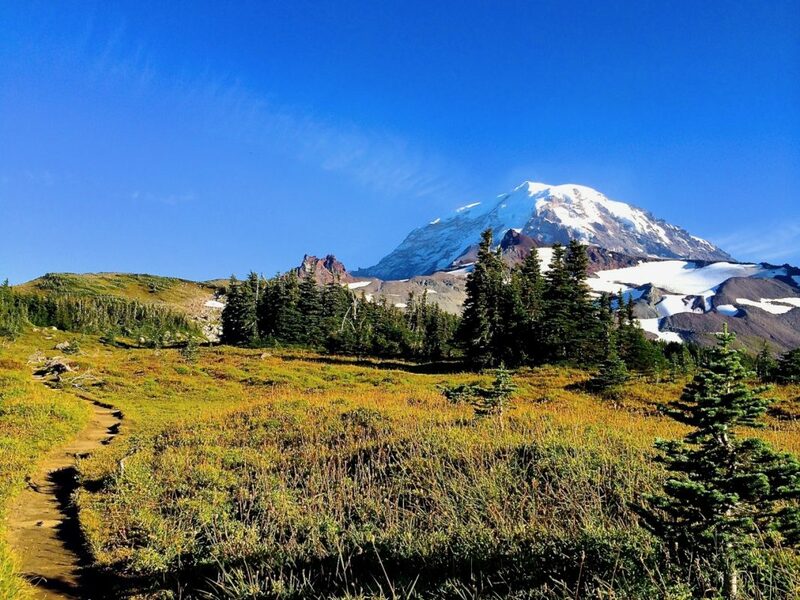 Washington State has some of most scenic and incredible outdoor recreation destinations in the country. Highlighted by gorgeous rivers, towering waterfalls, iconic mountains, and breathtaking coastlines, we have a lifetime’s worth of destinations that should be explored with our friends and families. While the idea of getting outdoors is simple enough, navigating the maze of permits needed can be quite tricky. Luckily, we are here to help you wade through the red tape and have the best outdoor adventure possible. 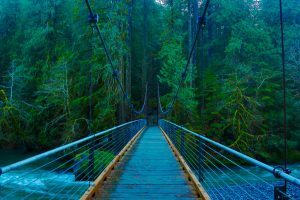 Whether you stick to Thurston County or decide to adventure all around the Washington, this guide will ensure you always have the proper permit for your day, weekend, or month-long adventure. For your adventures around Washington State Parks, Washington State Department of Natural Resources (DNR), and Washington Department of Fish and Wildlife (WDFW) lands, you will need the Discover Pass. The Discover Pass is $30 annually and covers all state managed land. This includes entry to over 100 developed state parks, 350+ primitive recreation sites (including campgrounds and picnic areas), nearly 700 water-access points, and nearly 2,000 miles of designated water and land recreation trails. It also covers access into more than 80 natural areas and 30 wildlife areas! If you are only going once a year, you can get a day pass for just under $10. There may also be transaction fees in some cases for annual or day passes. What is great about the Discover Pass is that the annual is transferable between two vehicles. However, the pass can only be used on one vehicle at a time. You can purchase your pass online or add it to your car tab renewal each year. If you enjoy going to national forests, consider picking up a Northwest Forest Pass. It’s $30 annually and is honored at all Forest Service operated recreation sites in Washington and Oregon where a day-use fee is required. This annual permit, or a $5 day pass, can be picked up from any National Forest Service office or you can buy them online. The pass allows the pass holder and any accompanying passengers in a private vehicle use of the recreation facilities. What makes this pass cool is that it is interchangeable between vehicles in the same household. Here is a full list of locations the Northwest Forest Pass covers in Washington and Oregon. While this pass is great, read on and see how you can maximize your purchase by picking up a different permit that covers national forests and more. For those hoping to explore the national parks of the region, you have a couple of options. You can either pick up a day pass or an annual pass for the specific national park you are visiting. Both passes are available at entrance gates of any national parks, or you can purchase the America the Beautiful pass, which we will discuss in the next paragraph. 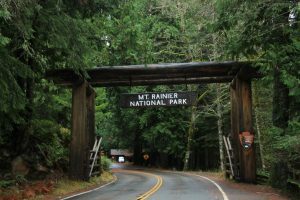 Mount Rainier National Park and Olympic National Park are within 90 minutes of Olympia, giving you two amazing destinations super close to home. For national parks, the cost to enter the park depends on how long you plan on visiting. Day passes, which actually last 15 days, cost $30 per vehicle, while the annual pass to each individual park is $55. If you plan on visiting more than one national park this next calendar year, do not hesitate to pick up the America the Beautiful Pass. For just $80, you get 12 full months of unlimited entry to all national parks, national forests, national wildlife refuges and more! There are countless reasons why getting an America the Beautiful pass is the best deal, including discounted camping rates. The best part about this pass is that you don’t have to drive to the park to get one. Sold at REI, you can pick up your gear and your America the Beautiful pass in one trip. If you don’t want to manage a ton of passes, we have a simple solution for you that will save you the most money. 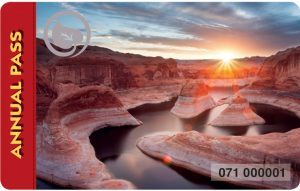 Pick up both the America the Beautiful Pass and the Washington State Discover Pass, as they will be the only two you need for all your public lands adventures. With both passes, you will have access to national parks, national forests, wildlife refuges, Washington state parks, WDFW, and Washington DNR lands.